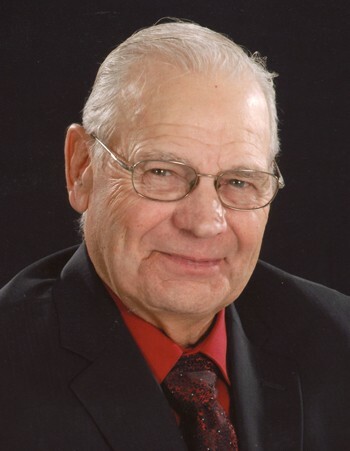 Robert Peter "Bob" Peine, age 81 of Cannon Falls, MN, died on Tuesday morning, January 15, 2019 at The Gardens at Cannon Falls surrounded by family. Bob was born on May 13, 1937 in Red Wing, MN, the son of Theodore C. and Christine J. (Fox) Peine. He farmed all of his life in Cannon Falls Township, and had served with the National Guard for 4 years. 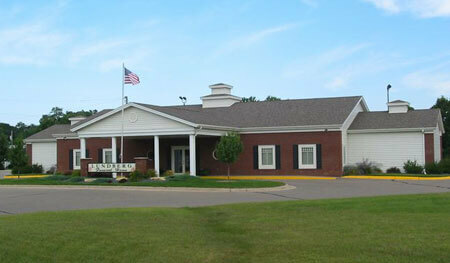 He had also worked for over 30 years at Minnesota Malting Company. He married Judy Fox on November 7, 1964 at St. Pius V Catholic Church in Cannon Falls, and they raised four children. He was a member of St. Pius V Catholic Church, and also served on the Cannon Falls Township Planning Commission. Bob enjoyed farming and took great pride in his machinery and farming practices. He loved to collect, so he would always have whatever was needed! If you had a question for Bob, he’d have an answer for you! Bob had a gift for remembering details, and could share details for any given event or date. He enjoyed the outdoors, and had hunted in his earlier years. Bob loved watching his family participate in demo derbies and dirt track racing. He will be missed by his family and friends. He was preceded in death by his parents; son, Matthew; and brother, Laurence. He is survived by his wife of 54 years, Judy; children, Larry (Debbie), Shelly (John) Zimmerman, and Robby (Becky), all of Cannon Falls; 10 grandchildren, Stephanie (Mike) Althoff, Rebecca Peine, Michaela (Bobby) Ranwick, Elizabeth (Pat) Otterness, Matthew Peine (Samantha Armstrong), Alex Peine (Megan Minnaert), Kathleen Peine (Brody Clemens), Cody Zimmerman, Erica Zimmerman, and Emma Louwagie; 5 great-grandchildren, Robin, Robby, Ruth, Jonathan, and Ruby; sister, Diane Tix of Hastings; brother, Todd (Irma) of Cannon Falls; sister-in-law and brothers-in-law, Patty and Ken Meyers of Cannon Falls and John Schaffer of Cannon Falls; and many nieces and nephews. Visitation will be on Thursday, January 17 from 5-7 p.m., with a parish vigil at 6:45 p.m., at Lundberg Funeral Home, Cannon Falls. A Mass of Christian Burial will be on Friday, January 18 at 11:00 a.m., with visitation from 10-11 a.m., at St. Pius V Catholic Church, Cannon Falls. Interment will follow at the church cemetery.